Earlier this year, Nepal was devastated by a 7.8 magnitude earthquake that killed more than 9,000 people and left hundreds of thousands more injured. Today, the country continues to rebuild itself in the wake of this monumental, devastating natural disaster thanks to the support of an unlikely partner -- the Christian church. 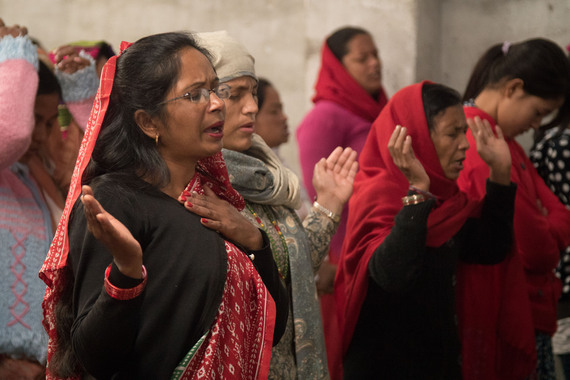 The Christian church is an unlikely partner because Hinduism reigns as the primary religion in Nepal. In fact, out of Nepal's population of 28 million, Christians make up less than 1.5 percent. Legally, you can be a Christian in Nepal. However, socially, it's unacceptable as Nepali Christians have suffered inequality and persecution for decades. In fact, just this week the Emmanuel Wesleyan Church in Kathamadu was fire bombed as a result of protesters who were upset that the government did not declare Nepal to be a Hindu nation. The threat against Christianity remains and is so prominent that the country's recently proposed constitution contains a provision that, in effect, renders any Christian activity in the country illegal. The new law prohibits people from converting from one faith to another. Any potential conversion behavior - which may include activities such as church meetings or prayer gatherings that could potentially influence the conversion of another - is punishable by law. Despite this inequality among religions in Nepal, the recent earthquake disaster showed us that relief is most effective when faiths work together to recover and rebuild. While the Christian church has a small footprint in the country, it is uniquely situated to help rural communities that are otherwise very difficult to reach. 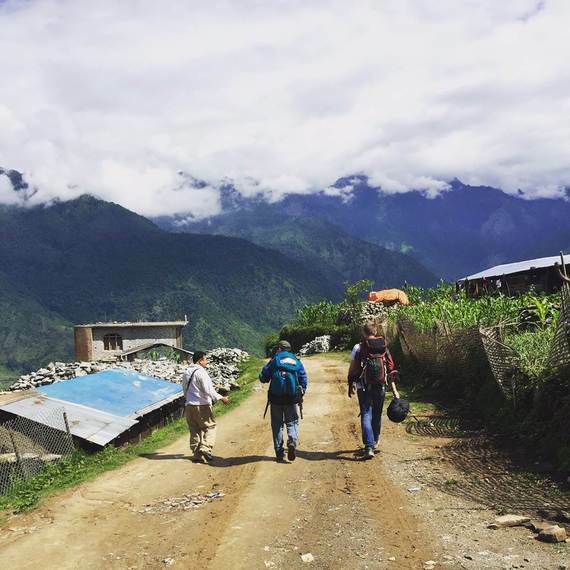 Through a network of churches in the Gorkha District, the Wesleyan Church and its partner, Christian relief organization, World Hope International, recently conducted an emergency response mission, sending a Trek Team to help the country's most remote areas, which were some of the hardest hit and most difficult to reach areas. The Trek Team endured challenging backpacking through mountains and terrains along with 18+ hour road trips to deliver over 2,000 pounds of relief supplies to people who had not yet received any assistance. This included the delivery of industrial strength tents to over 70 families who had lost their homes. Suitable for a family of five, the large tents are UV-proof, waterproof, rot-proof and fire retardant, and serve as a safe haven for the many mothers and children who had been displaced during this difficult time. In addition, the team provided water filters and hygiene kits to families in need. 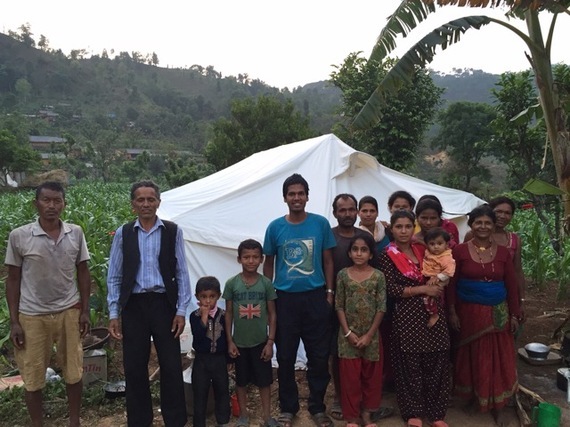 With a severe lack of water and sanitation infrastructures due to the earthquake, these items were vital in small communities such as Palba, where pastor Binita helped to bring the two faiths together in recovery. Binita is the pastor of the only Christian church in the community and had been rejected by her family, as well as many in the community. In fact, not only was she rejected but she had experienced threats of physical harm because of her belief. When the earthquake struck Nepal on April 25, she and her congregation who were in church quickly left the building. As soon as the last person exited, the whole church collapsed. Upon seeing that the church was destroyed, she worked with a team of local Christian and non-Christian villagers to rebuild it. In the weeks following the earthquake, she was eagerly and prayerfully waiting for someone to find their village. After weeks of enduring strong aftershocks and struggling to rebuild the community, she was not sure if she was seeing a mirage or if in fact she was witnessing help on its way - men with loads of supplies on their backs for her village. As the men met her face-to-face she learned these were Wesleyans from the US who had trekked to get help to the most remote places. Immediately, she began to call people to share all they had received with the entire community - no matter their religion. As Christians, we must show love for our neighbors despite persecution and hardship. It is only through love that we can help to bridge divides between people, faiths, and cultures and work together in times of emergency to help build a better future.